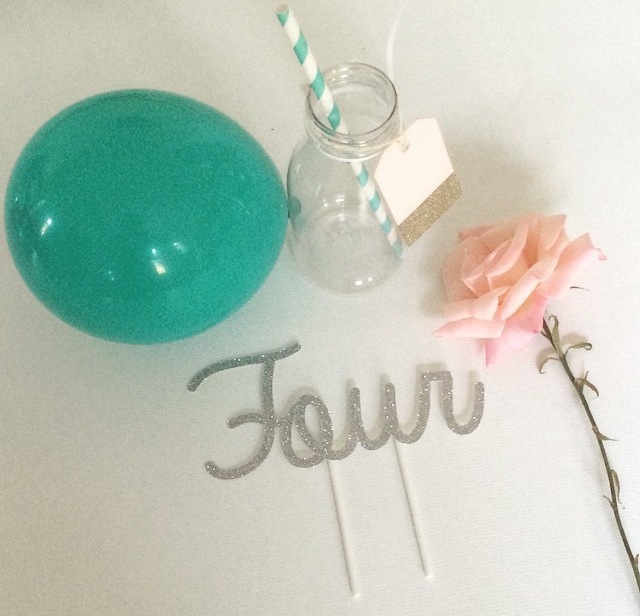 Whilst planning my daughter's fourth birthday party last month I stumbled across the sweetest personalised cake topper's via Instagram. Clara Ivy (claryivy.bigcartel.com) hand-makes any word, number or phrase in a choice of finishes to suit your theme. I feel in love, instantly. The hottest hue this season, it's all about grey. I don't know what it is but there is something effortlessly chic about a grey blouse or shift? And Madderson London have just re-emphasised this with their latest AW14 collection. The signature Camilla shift re-worked in Jaquard is case in point. As is their new addition Florence Blouse in grey. Pregnant and working in town? 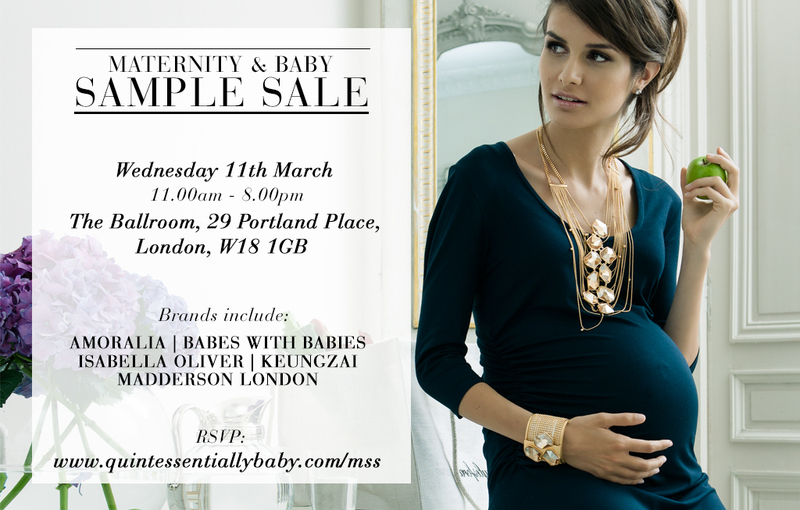 (Or simply looking for a statement maternity piece.) - You need look no further. Shop here. I will be shopping here. She is a Victoria Secrets model, so granted most of us won't/don't look like this whilst pregnant. But a chic long black dress a la Doutzen Kroes is for me the most perfect, elegant, maternity look - Evening glamour in one easy-to-wear step. I would also consider this look for a wedding or summer party. Black is not the most traditional hue for such an occasion but it's just so flattering and elegant over a bump, and well, why not? I will keep this short and sweet. Sometimes not too many words are required and it's best to just see for yourself. Madderson London have recently launched their new Spring Summer maternity collection and as expected it's divine. Luxury, chic and ever-stylish, you will find nothing average about these new season looks. Old favourites are re-worked in summer hues (The Amelie in powder blue and gold French Tweed really stands out) as-well as some new editions that I just love. Hello Serena in Olive. With just one week to go, and a day of shooting children's fashion ahead, I opted for the Saturday dress. Madderson London's go-to, weekend-style-staple. And how exciting to be able to show off a little bit of leg, thanks to the cheeky slit detail of this maternity maxi. Valentines day when you are 36 weeks pregnant is not as exciting/glamorous as it perhaps should be. But I was not going to let any bump get in my way, and my husband and I still managed a little date-night. (Probably one of our last before the new arrival.) Nothing too spectacular, and not far from home - It was a candlelit dinner followed by the cinema. I was most excited about the cinema. I cannot remember the last time we went, literally. I think it was James Bond. The Wolf of Wall Street was fantastic BTW. I'm going to keep this brief, I'm still feeling horrendous thanks to this bug that's going around. But I just wanted to post about the recent Madderson London press launch, which I have been meaning to do all week. A perfect combination of statement and style. Madderson London's Darcy Dress, my new favorite piece from the current collection. 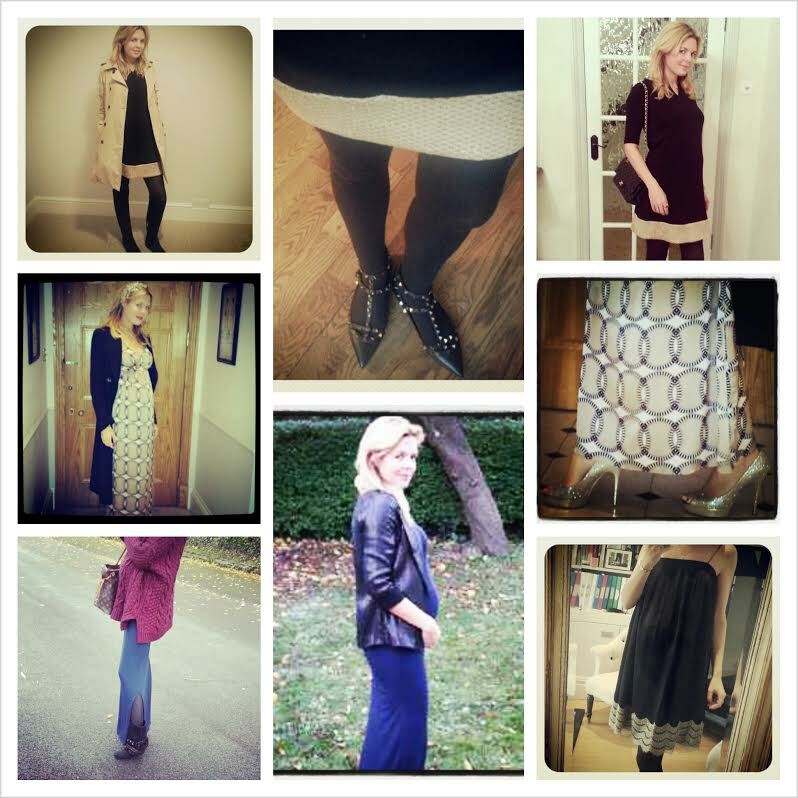 Just before Christmas I signed up with Madderson London to feature in their first ever style diary. 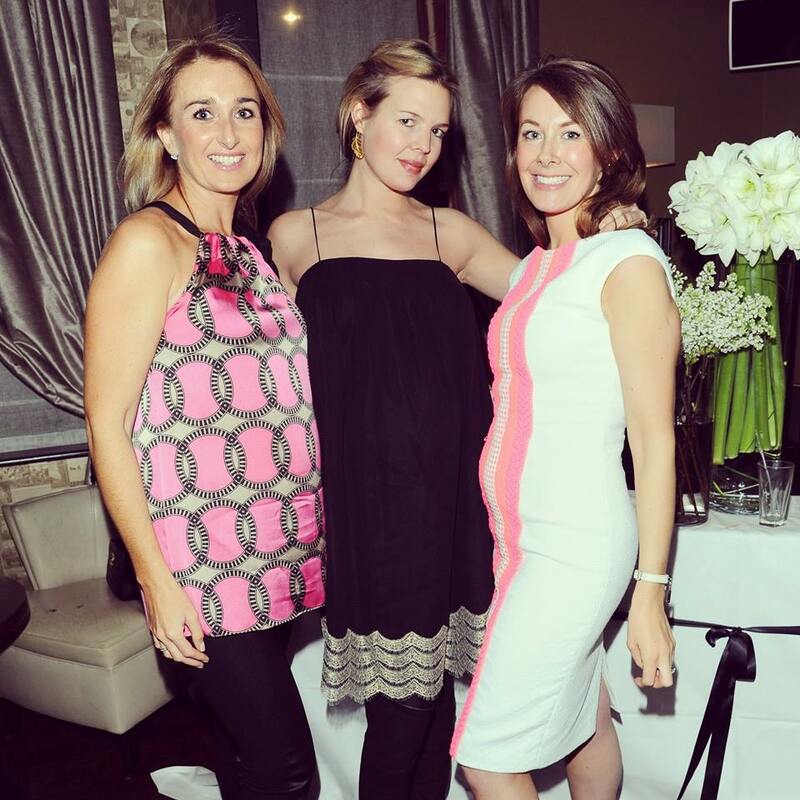 So far I have styled three looks from their stunning collection of luxury maternity wear. You can follow each look here and on the Madderson website.